BANGKOK, 5 May 2011 – Thailand Post is offering lychee delivery service in order to help farmers distribute good quality lychee throughout the nation via its home delivery service, starting from Wednesday onwards. According to Thailand Post President Anusra Jitmitraparp, lychee has been included in the menu of the postal food delivery service to increase distribution channels for lychee farmers while consumers can enjoy fresh lychee directly sent from farms. Under the service, only good quality ‘Khom’ lychee planted in the central province of Samut Songkram province has been selected for delivery since this strain is known to be the queen of lychee with its superbly sweet and delicious taste. 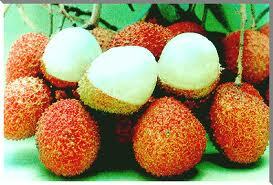 Lychee can be ordered from now at all post offices. Orders can also be made by dialing Thailand Post hotline 1545, 02-982-8222 or www.postemart.com. Thailand Post last year used to launch a longan delivery service from the northern province of Lamphun as a pilot project to deliver seasonal fruits to consumers.